This article was provided by Inner Drive, a mental skills training company. Editor’s Note from Brian: The article is written using soccer as the example, but I believe that it has applications to football as well. The women’s Euros kicked off on Sunday, and we’re all excited to see how well England will perform. They’re up against strong competition – out of the past eight tournaments, Germany have won seven of them. So we wanted to explore why do some teams outperform others? Why does the sum total equal more than the parts? For many, the answer refers to the ‘team culture’. But what exactly does this mean? And more importantly, how can you best develop it within your team? This year has been described by many as the year of ‘the underdogs’ (think Leicester City, Iceland and Walespunching well above their weight). 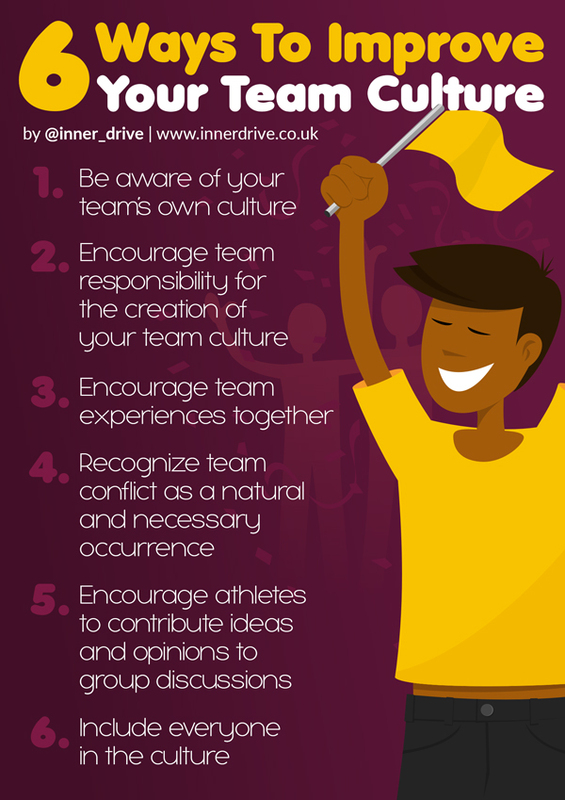 Many have attributed their success to their team culture, often describing the players as a ‘band of brothers’. But what drives individuals to come together as a team? If you’re a parent trying to best support your child, check out our blog How to Help Your Child in Sport.